How to block specific websites without using Parental Controls? I know I can block websites in Parental Controls, but accessing that option requires the "Limit Adult Websites" option, which I find to be overly strict. Is there a way to block specific websites without third-party software? I'm running High Sierra on my laptop. The only way I can think of to do this (without enabling parental controls or using a 3rd party app) would be to edit the hosts file. See here for more info. Continue adding entries just like this, 127.0.0.1, a space then the host name/URL of the site you want to block. Each one on a new line. When you have entered all the sites you want to block hold ControlO and it will prompt for the fie to write out, just hit Return then ControlX to exit. The words at the bottom indicate those commands and others with the Carat ^ symbol indicating the Control key. 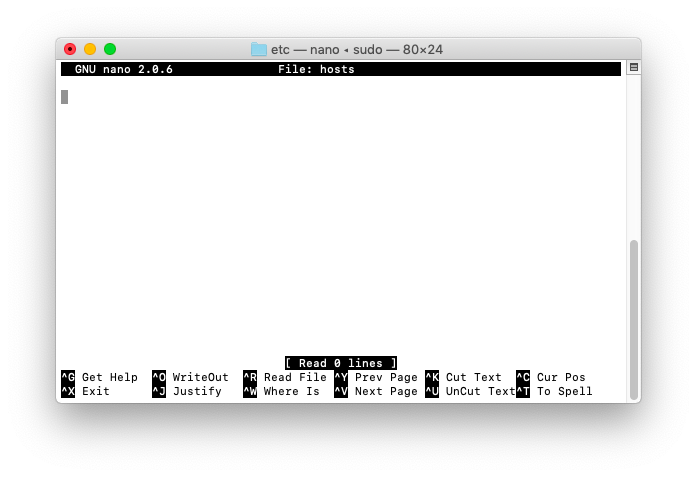 Once Nano has saved your hosts file and exited, reboot your Mac. Those sites should now give you errors when you go to them. If your child has an admin password he can easily undo this as the password you enter when you type any command starting with "sudo" will be the password of the current user. If that user is not an admin it won't work. Not the answer you're looking for? Browse other questions tagged macos high-sierra internet websites . Mac as a kiosk: How to effectively whitelist apps with Parental Controls? How do I edit Parental Controls for allowed web sites in macOS? Is it possible to disable ending specific processes in Activity Monitor?